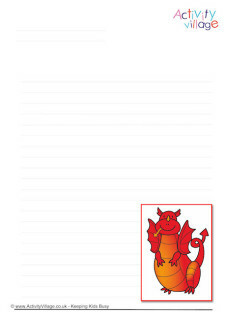 From simple lines, to outlines to a full picture, our Wales tracing pages are a great way to practice pencil control. There's lots of tracing practice in this daffodil tracing page - a perfect activity for early spring! Once the dotted lines are traced, your child could colour the top section yellow (sticking to within the dotted lines for extra pencil control practice) and the bottom section green. Here's an unusual tracing page for your youngest children to enjoy! There are two sets of dotted lines for extra practice - although beginners might want to draw one line between them, treating them as a "channel". Here's some fun pencil control practice with a rugby theme! Kids can trace the outer edge of our rugby ball picture, and then colour the ball in. Younger kids can practice their pencil control with this fun rugby tracing worksheet. Pencil control comes with practice, and here's a fun way to practice with a rugby theme! We've made this fun rugby tracing picture with the Rugby World Cup in mind, but it would be fun any time - and great for practising pencil control, too! Here's a lovely colouring page for younger children with a dotted outline. Trace over the outline carefully - it's great pencil control practice!